There have been a few books written about the band, Yes but this one really includes the involvement of many of the members of the group through extensive interviews. Those of you who are familiar with Martin Popoff’s work know that he digs into what was happening in the band at a specific time and what they were thinking about when a particular album was created. This book is no different except that this book is chaptered in decades and not in albums. 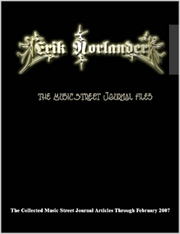 Even though it is not an extremely long book, it is jam packed with information, mostly from the musical creators themselves. In addition to information on Yes, there are interviews and detailed info on solo albums and off-shoot bands like Asia, GTR, and ABWH. Unfortunately, we lost Chris Squire not too long ago, but his words have been captured here. He was never one to mince words and he candidly re-tells many of stories from the Yes saga. It was great to read his words (along with Steve Howe’s and Geoff Downes’) about the often overlooked period of XYZ and the Drama album. Popoff’s books are all extensively researched and contain enough information to make you an expert on the artist chronicled. 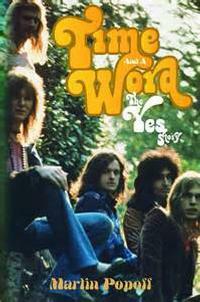 Time And A Word: The Yes Story is no different.